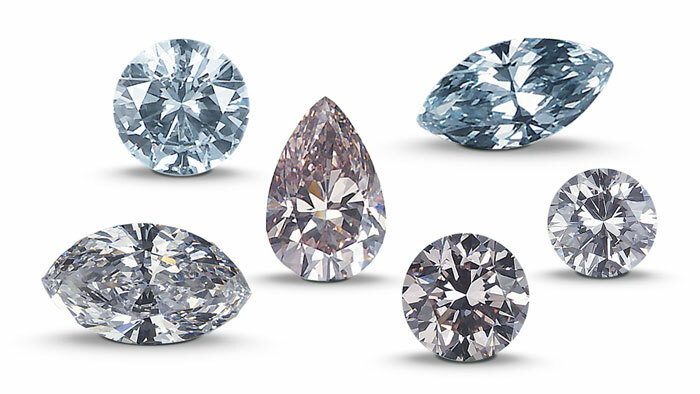 While treatments can increase a stone’s Color or Clarity, the presence of such enhancements may affect the diamond’s value – particularly if the price reflects its appearance after treatment. 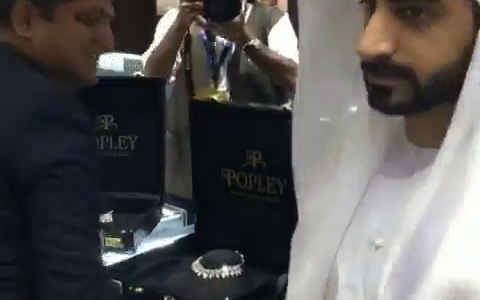 Buyers have a right to know for certain whether a stone is natural, a diamond simulant or a diamond created in a lab, and whether or not the stone has been treated to enhance its appearance. 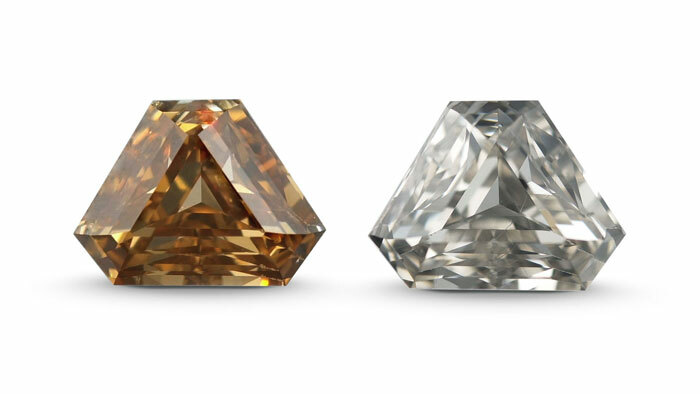 The 6.61 ct diamond above shows the stone before and after HPHT annealing to remove its color. Left, prior to annealing, this diamond’s color was considered fancy yellow-brown. Right, after annealing, this diamond’s color grade is “L” (faint yellow). While many of these are not common in the market, GIA tests every diamond it grades for their presence. Coating enhances a diamond’s color by masking an undesirable body color with an ultra-thin layer of chemicals or plastics. Another form of coating involves applying a thin film of synthetic diamond to the surface of a diamond simulant, giving it certain characteristics of a real diamond. HPHT stands for a high-pressure, high-temperature. A process is an effective tool for changing the color of certain diamonds, making them colorless, pink, blue, green, yellowish green, or yellow. Outside of a well-equipped grading laboratory, this form of treatment is virtually undetectable. 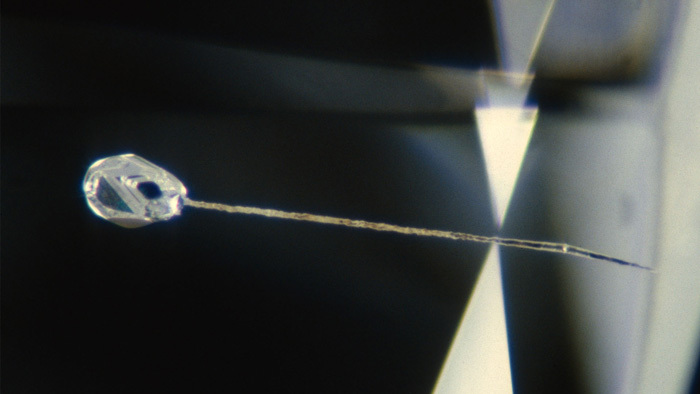 There are two main techniques for improving a diamond’s apparent clarity; laser drilling and fracture filling. This 3.28 ct round brilliant cut diamond, shown at 63x magnification, has been laser drilled to remove an inclusion. Fracture filling hides white fractures in a diamond called “feathers.” A glass-like substance is injected into the fracture to make it less visible and to improve the stone’s apparent clarity. Because the filling may be damaged or removed during routine cleaning and repair, the technique is controversial. Good fracture filling is very subtle, and so an examination by a skilled diamond grader is necessary to detect its presence in a stone.